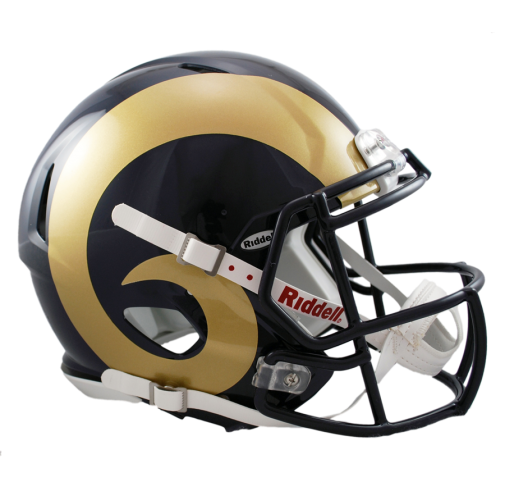 The St. Louis Rams provide little help in fantasy football, but a healthy Sam Bradford for 16 games could change that. The addition of Greg Robinson should help keep Bradford upright, while drafting Tre Mason and signing Kenny Britt could open up the field for Zac Stacy, Tavon Austin and Jared Cook. If you value Strength of Schedule, well the Rams are just stuck in an NFC West that features the Super Bowl Champion Seattle Seahawks, the San Francisco 49ers and the Arizona Cardinals. Fantasy Pros SOS would lead you to believe the Rams QB and TE have a top 10 schedule, the WRs are middle of the road and the RBs have one of the toughest, but I still think the Rams RB will be the most valuable fantasy position St. Louis offers us. Bradford has played just 49 games over 4 seasons for the Rams, and just 7 games in 2013 thanks to a torn ACL suffered near the end of October. He was having himself a fine season with 14 touchdowns and a 60% completion rating, The Rams were passing the ball quite often with 3 straight 40+ attempt weeks, and Bradford tossed 3 scores in 3 separate weeks. If he can return healthy, and Jeff Fischer continues to be aggressive on offense, Bradford might be able to help your fantasy team in a 12 team league. Unfortunately, his injury history and the lack of Rams success in recent years, make him undraftable. More valuable in Non-PPR leagues. We did not rank him in our QB rankings. Stacy won the Rams RB gig over Daryl Richardson (now with New York Jets) last season, and was handed the ball 250 times. 11th most in the league. He did a good job with his carries, going for 973 yards and 7 TDs on a team run by Kellen Clemens for the last 9 games. He even rushed for a season high 134 yards against the Seattle Seahawks in the 1st game after Bradford was lost for the season. Even with the addition of Tre Mason via the NFL draft, Stacy is the man in St. Louis and in the 1st round of this years draft, they added Greg Robinson to beef up the O-Line. More valuable in Non-PPR leagues. We ranked him 22nd in our RB rankings. Austin caught just 40 passes as a rookie and although he did catch 4 TDs, he caught 2 in Week 2 and 2 in Week 10. He cracked 100 yards receiving in that Week 10 game against the Indianapolis Colts, but it was the only week he gained more than 47 yards! He added a rushing TD in Week 11, but it was more than likely that outside of Week 2, he never saw a fantasy football roster again. However, he caught 29 of his 40 receptions with Bradford under center, and has Percy Harvin potential. That alone make him worth a late round draft pick. More valuable in PPR leagues. We ranked him 47th in our WR rankings. Cook led the Rams in targets (tied with Chris Givens) with 83, 51 receptions, 671 receiving yards and receiving TDs with 5. He exploded for 7 catches, gaining 141 yards and 2 TDs on Week 1, which means he averaged less than 3 catches & 35 yards per game for the rest of the season. Like Austin, Bradford is the key for Cook to be successful. That being said we liked 20 TEs better than Cook. We did not rank him in our TE rankings.